Note: Only users with admin permissions can add, modify, or delete jobs in CodeSignal. 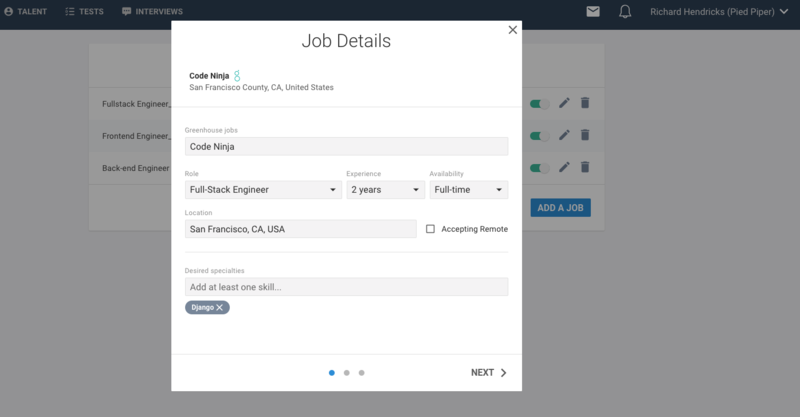 To get to the Manage Jobs page, select Manage Jobs from your profile drop-down. Click the ADD A JOB button. 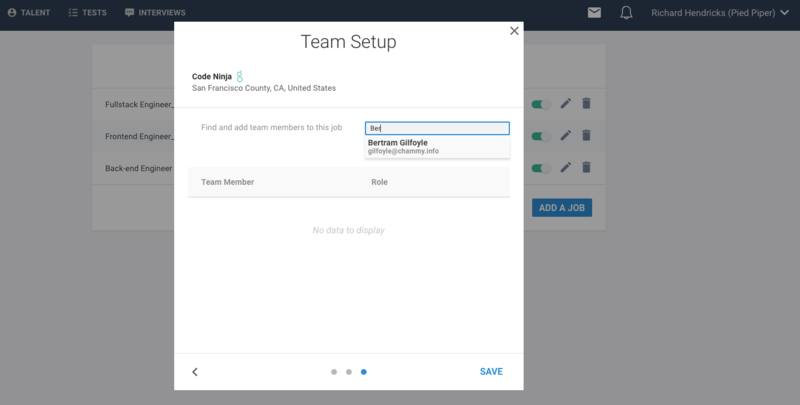 You will need to fill out information about the role in three modals: Job Details, Job Stage Mapping, and Team Setup. To edit an existing role, click on the Edit icon next to the job's title. 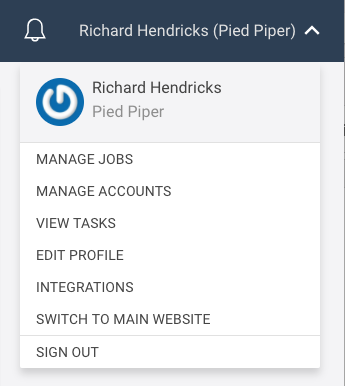 To disable a job, flip the toggle next to the role's title. To delete a job entirely, click the Delete icon next to the role's title. If you delete a job, this is permanent and you would have to re-add the role again entirely if you changed your mind. If you're not sure whether you'll need it again, simply disable the job, and you'll be able to access it again if you want it.